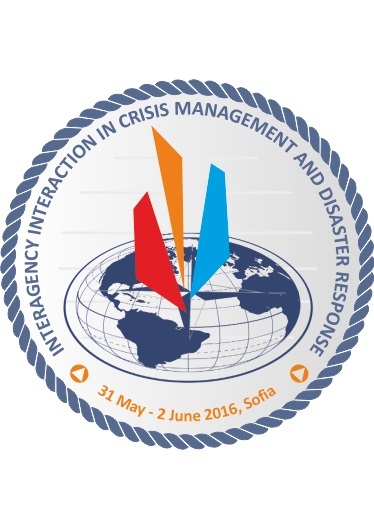 CMDR COE is pleased to announce that its fourth annual conference for Crisis Management and Disaster Response Interagency Interaction will be held from 31st May (Tuesday) to 2nd June 2016 (Thursday) in Sofia. The CMDR COE Conference is open to all NATO and EU Nations and Partners, governmental, non-governmental and international organizations. The Interagency Interaction in Crisis Management and Disaster Response is a core task that requires common efforts and advanced knowledge to collaborate the skills of many actors – governmental, non-governmental, regional, local etc. Recent events worldwide have once again highlighted the critical need to establish and maintain interagency understanding and interaction in order to perform complex respond and comprehensive approach to crises and disasters nowadays. More than ever, combine efforts need to be widely recognizable, interoperable and affordable. Crisis Management and Disaster Response COE Annual Conference aims to promote ideas in a way that will advance the common understanding as well as gain points of view that might not have been otherwise considered. It is a goodwill venue for all those who work in and around crisis management and disaster response from the civilian and military communities that wish to share opinion and experience, learn from, and meet with interlocutors from around the world. Three ideas underlie this year conference as clustered in the shape of three plenary sessions. - M&S Support for Crisis and Disaster Management Processes and Climate Change Implications. The working language will be English and interpretation services to and from other languages will not be provided. No limitation for participants by nation, no security clearance is required (non-classified information will be shared). Conference fee per particicpant 50 euro. Please note that the deadline for filling up the registration form is May 20, 2016. Info Package is available here.